In recent years geographic mental maps have made a comeback into the spotlight of scholarly inquiry in the area of Foreign Policy Analysis (FPA). While never disappearing completely from scholarly examination, geographic mental maps were side-lined in most geographic and international relations (IR) research agendas. While geographers had long acknowledged the importance of mental maps in the study of international politics, few studies centred on the influence of geographic cognition on foreign policy. Only with the cognitive revolution in IR did geographic mental maps find space to develop conceptually and empirically with regards to international politics. Beginning with Henrikson’s initial conceptualisation over three decades ago the mental map research agenda has adopted several different theoretical and methodological approaches which will be analysed in the current article. Agnew, J 2003, Geopolitics- Re-visioning World Politics, Routledge, New York. Akçali, E 2009, Chypre: Un enjeu géopolitique actuel, L’Harmattan, Paris. Allen, G 1985, ‘Strengthening Weak Links in the Study of the Development of Macrospatial Cognition’ in R Cohen (ed) The Development of Spatial Cognition, Lawrence Erlbaum Associates, Publishers, Hillsdale, New Jersey, 301-321. Bell, P, Greene, T, Fisher, J & Baum, A 1996, Environmental Psychology, Harcourt Brace College Publishers, Orlando, Florida. Casey, S & Wright, J (eds) 2008, Mental Maps in the Era of Two World Wars, Palgrave-Macmillan, New York. Casey, S & Wright, J (eds) 2011, Mental Maps in the Early Cold War Era, 1945-68, Palgrave-Macmillan, New York. Claval, P 2006, História da Geografia, Edições 70, Lisboa. Criekemans, D 2011, ‘Réhabilitation et Rénovation en Matière de Pensée Géopolitique’, L’Espace Politique. 12 (3), 2-13. Criekemans, D 2009, ‘Where ‘geopolitics’ and ‘foreign policy analysis’ once met: the work of Harold and Margaret Sprout and its continued relevance today’, Paper presented at the annual meeting of the ISA’s 50th Annual Convention Exploring the Past, Anticipating the Future. Criekemans, D & Duran, M 2011, ‘Mental Maps, Geopolitics and Foreign Policy Analysis: Basic Analytical Framework and Application to Sub-state Diplomacy in the Mediterranean’, Paper presented at the WISC – Third Global International Studies Conference. 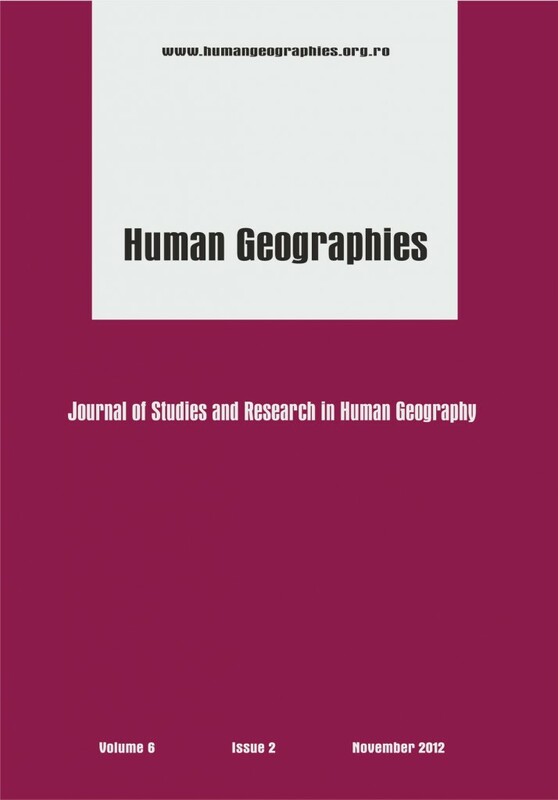 da Vinha, L 2011a, ‘Assessing the Conceptual ‛Goodness’ of Geographic Mental Maps for Foreign Policy Analysis’ Romanian Review on Political Geography. 13 (2), 133-148.
da Vinha, L 2011b, ‘Georeferencing Foreign Policy: The Role of Geographic Mental Maps in Foreign Policy Decision-Making’, Paper presented at the WISC – Third Global International Studies Conference. da Vinha, L 2010, ‘Acquiring Geographic Knowledge in International Politics’, Universitas: Relações Internacionais, 8 (2), 53-94. Downs, R & Stea, D (eds) 2005a, Image and Environment: Cognitive Mapping and Spatial Behavior, Transaction Publishers, New Brunswick, New Jersey. Downs, R & Stea, D 2005b, ‘Cognitive Maps and Spatial Behavior: Process and Products’ in R Downs & D Stea (eds) Image and Environment: Cognitive Mapping and Spatial Behavior, Transaction Publishers, New Brunswick, New Jersey, 8-26. Golledge, R & Stimson, R 1997, Spatial Behavior: A Geographic Perspective, The Guilford Press, New York. Gould, P & White, R 1974, Mental Maps, Penguin Books, Middlesex. Henrikson, A 2008, ‘FDR and the ‘World-Wide Arena’’ in D Woolner, W Kimball, & D Reynolds (eds) FDR’s World: War, Peace, and Legacies, Palgrave-Macmillan, New York, 35-61. Henrikson, A 1980b, ‘America’s Changing Place in The World: From ‘Periphery’ to ‘Centre’?’ in J Gottman (ed.) Centre and Periphery: Spatial Variation in Politics, Sage Publications, Beverly Hills, California, 73-100. Holsti, O 1976, ‘Foreign Policy Formation Viewed Cognitively’ in R Axelrod (ed.) Structure of Decision: The Cognitive Maps of Political Elites, Princeton University Press Princeton, New Jersey, 18-54. Holsti, O 2006, ‘Cognitive Process Approaches to Decision-Making: Foreign Policy Actors Viewed Psychologically’ in O Holsti (ed) Making American Foreign Policy, Routledge, New York, 33-51. Kitchin, R & Blades, M 2002, The Cognition of Geographic Space, I B Tauris & Co Ltd, New York. Kitchin, R & Freundschuh, S (eds) 2002, Cognitive Mapping: Past, Present and Future, Routledge, London. LeGates, R & Stout, F (eds) 1997, The City Reader, Routledge, New York. Lewis, M & Wigen, K 1997, The Myth of Continents: A Critique of Metageography, University of California Press, London. Lynch, K 1960, The Image of the City, Massachusetts: The MIT Press, Cambridge. Montello, D 1998, ‘A New Framework for Understanding the Acquisition of Spatial Knowledge in Large-Scale Environments’ in M Egenhofer & R Golledge (eds) Spatial and Temporal Reasoning in Geographic Information Systems, Oxford University Press, New York, 143-154. Montello, D & Freundschuh, S 1995, ‘Sources of Spatial Knowledge and their Implications for GIS: An Introduction’, Geographical Systems, 2, 169-176. Moore, G & Golledge, R 1976, ‘Environmental Knowing: Theories and Concepts’ in G Moore & R Golledge (eds) Environmental Knowing: Theories, Research and Methods, Dowden, Hutchinson & Ross, Stroudsburg, Pennsylvania, 3-24. Ó Tuathail, G 1992, ‘The Bush Administration and the ‘End’ of the Cold War: A Critical Geopolitics of US Foreign Policy in 1989’, Geoforum, 23 (4), 437-452. Ó Tuathail, G & Agnew, J 1998, ‘Geopolitics and Discourse: Practical Geopolitical Reasoning in American Foreign Policy’ in Ó Tuathail, G Dalby & S Routledge (eds) The Geopolitics Reader, Routledge, New York, 78-91. Saarinen, T 2005, ‘Student Views of the World’ in R Downs &D Stea (eds) Image and Environment: Cognitive Mapping and Spatial Behavior, Transaction Publishers, New Brunswick, New Jersey, 148-161. Saarinen, Thomas (1987), Centering of Mental Maps of the World: Discussion Paper. Tuscon, Arizona: University of Arizona. Sloan, G 1988, Geopolitics in the United States Strategic Policy, 1890-1987, St. Martin’s Press, New York. Snyder, R, Bruck, H & Sapin, B (eds) 2002, Foreign Policy Decision-Making (Revisited), Palgrave-Macmillan, New York. Thomas, M (ed.) (forthcoming), The French Colonial Mind: Mental Maps of Empire and Colonial Encounters, University of Nebraska Press. Lincoln, NE. Tolman, E 1948, ‘Cognitive Maps in Rats and Men’, The Psychological Review, 55 (4), 189-208. Trowbridge, C 1913, ‘On Fundamental Methods of Orientation and ‘Imaginary Maps’’, Science, 38 (990), 888-896. Unwin, T 1995, El Lugar de la Geografía, Cátedra, Madrid.